Presenting the Bill at plenary, Anyanwu said that the establishment of the commission would tackle infrastructural deficit as well as engage youths in productive ventures in the region. “Some of the functions of the commission include release of policies and guidelines for the development of the South-East, conception of development plans in accordance with set rules. The commission is also expected to provide a master plan for reduction of unemployment and schemes to promote the physical development of the region,’’ he said. Anyanwu said that the Bill sought to give necessary attention and support needed to harness the abundant economic and indigenous entrepreneurial potential of the region. “The Micro, Small and Medium Scale Enterprises (MSMEs) are significant to the growth, productivity and competitiveness of any economy. This is one area the South-East manifests strength and comparative advantage but lacks the necessary encouragement and support to enhance their growth and maximise their full potential to compete with countries like China and Brazil. The passage of this Bill will be critical in addressing the South-East agitation for marginalisation through integrative development plan that will promote and strengthen the sense of nationalism,” he said. 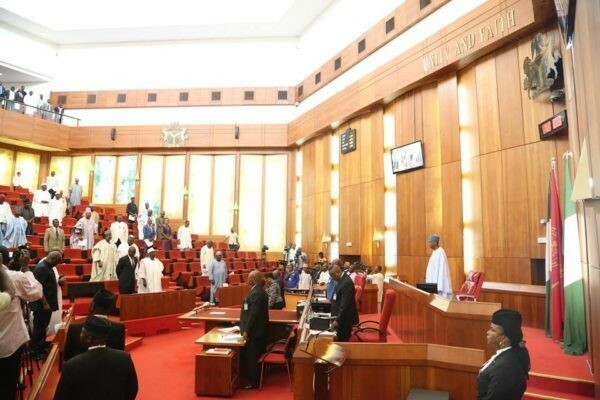 Supporting the Bill, Deputy President of the Senate, Ike Ekweremadu (PDP-Enugu), extolled the credentials of the senate, describing it as bi-partisan and patriotic. “This is one rope that holds Nigeria together. I look forward to the support of the Senate to this Bill,” Ekweremadu said. In his remarks, President of the Senate, Dr Bukola Saraki, said that the unity and development of a nation sometimes went beyond just a Bill. “I want us all to see that we all have responsibilities to bring down the tension in this country and bring about unity. By this, we are showing as a Senate that we are ready to listen and look at the pros and cons. We need to unite this country. We must play our role. We only have one country,” he said. Saraki thereafter referred the Bill to the Committee on Establishment and Public Service Matters to work on and report back in four weeks. A similar Bill which was before the House of Representatives was rejected on Thursday. The members voted against the Bill and the rejection led to a rowdy session and walk-out from the chamber by members of the South-East Caucus of the house.